Zaminkand (Amorphophallus spp. ): identify and learn about your plants with Groww. Amorphophallus titanum rarely flowers - and it’s a good thing. Scientific name : Amorphophallus spp. 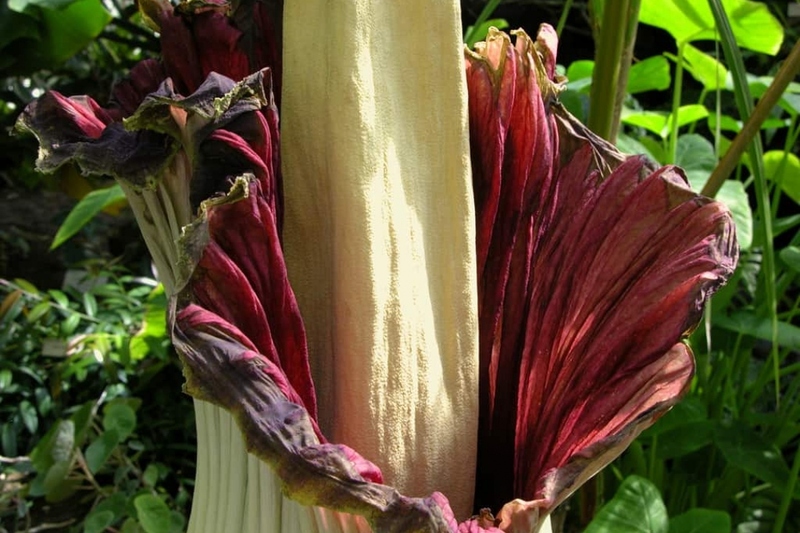 The species Amorphophallus titanum, 'corpse flower' or titan arum, is the world's largest unbranched inflorescence, with a height of up to 2.5 m, and it smells terrible. A floriculturalist once described it smelling "like roadkill, a barnyard, a dirty diaper, very strong, a little bit of mothball smell too".